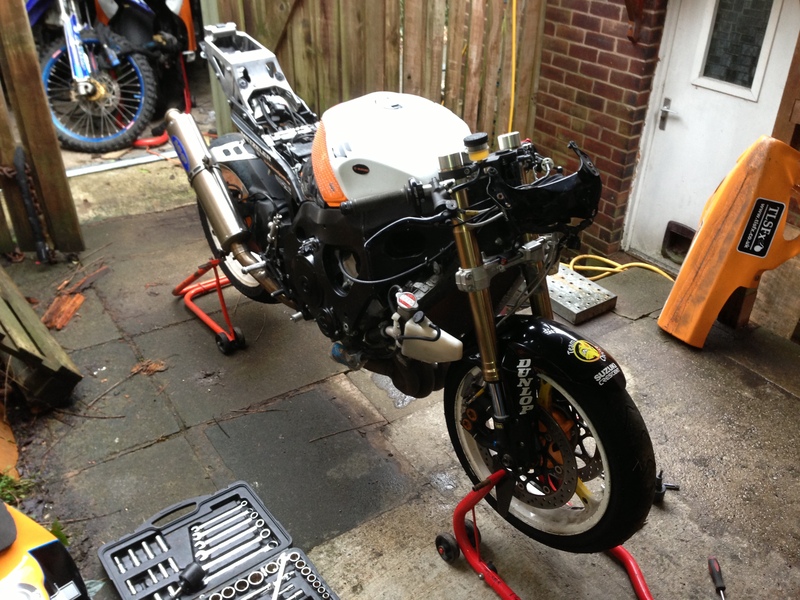 Well as the cold weather seems to be here, it’s about time I got around to taking the water out of the GSXR. Some people say that you can just leave a bike empty, but I always prefer to put in some antifreeze. This lubricates the seals and stops corrosion so for the few quid it cost I think it’s worth it. And with that it’s the final act of my 2013 season. All I need to do now it write up all the reports that I haven’t had time to do and figure out the final expenses of the year. Next years plans are already afoot and may see me dip my toe in another form of racing, endurance racing. It’ll only be a one off as I look at the calendar but I think it’s do-able at the moment. Apart from that I can’t really think of anything else that needs doing to the Suzuki in the off season. I may put a better fairing set on as the one I put on last winter is annoying me, and is cracking around some of the mounting points but it all depends on the money side of things. I could just repair this one but it’s never fitted as well as I wanted. We shall see. Maybe a new colour scheme (I have some bad ideas) or maybe I’ll just service it, bang some new tyres on (Thruxton saw off both the wets and the dries) and pop some petrol in and go.